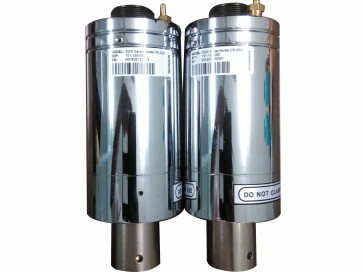 Direct replacement for the Branson CR-20 as used in Branson 2000 series and 2000X series actuator, IW, and IW+ systems. 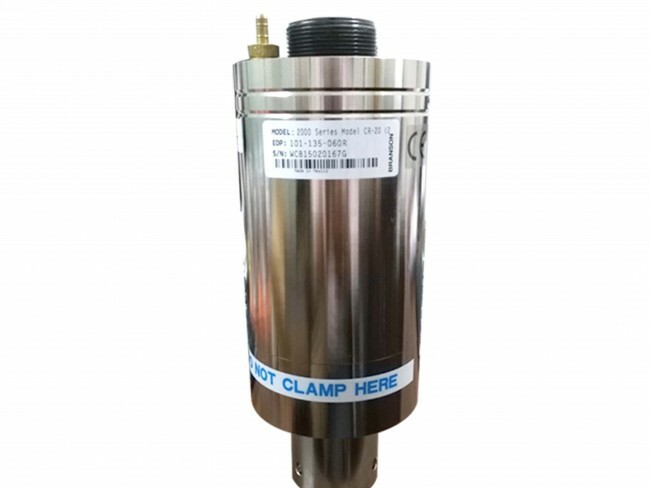 .Replacement Branson Transducer -CR 20 Direct replacement for the Branson CR-20 as used in Branson 2000 series and 2000X series actuator, IW, and IW+ systems. 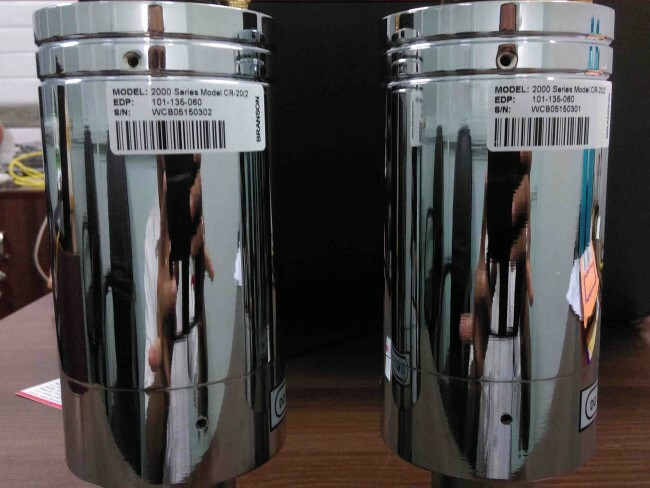 Materials Front matching: Titanium Alloy Back matching:Steel Alloy Piezo-ceramic: PZT-8 Made in Germany Electrode: Nickel Alloy (House): Aluminum Alloy Booster: Titanium Alloy We service Branson ultrasonic welders at a fraction of the cost of the original manufacturer. 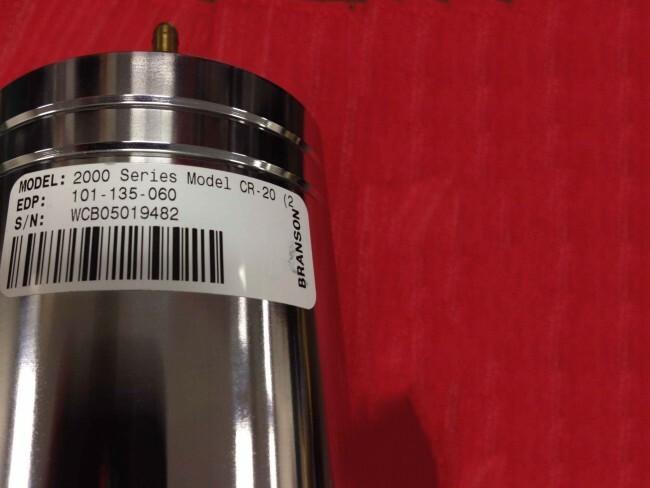 Check with us for service of your Branson 400, 800, 900 and 2000 series ultrasonic welders.